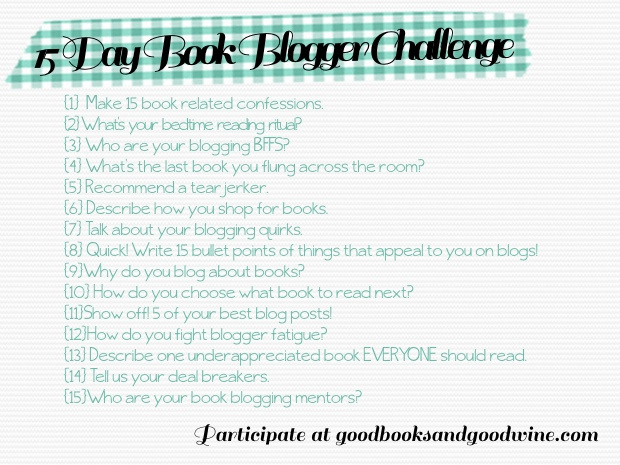 I apologize for being behind on the 15 Day Book Blogger Challenge. I've been at cheerleading camp with the girls I coach and have had literally no time to myself ..
Well, I guess I should say that I'm always shopping for books. I can't go to Target or Meijer or Walmart without looking for a possible book to buy. However, I do try to keep most of my book shopping to Barnes and Noble, and here's why. I don't want brick and mortar, actual, physical book stores to go away. Technology is fabulous (hello, book blogging), but my quality of life would be seriously diminished if I couldn't go into a bookstore and smell that fabulous new book smell and enjoy the process of picking out books. That's not to say I don't order online -- I do. I do order on Amazon, especially if I have a gift card. I make a habit of selling my school books back to Amazon that way so that I can reward myself for a semester of hard work with books for pleasure. And I do own a Nook, so I do buy books digitally. I've had to be careful about that though because when you're not entering a card number, I've noticed you go through money pretty fast. It's easy to lose track! I do have a list that I keep updated of books to be released and I try to keep a priority list going between that and books that are already released that I want to read. I try to stick to it, but it's not a foolproof system. I always find something not on my list that I absolutely have to have. 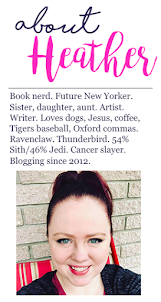 Near my birthday and Christmas (which are close to each other), I do go into B&N and make a huge list of all the books I want and update it for my parents when they shop for me, because that's usually what I want. I do get other things, but the majority of my gifts are books or something book related. Up next as I catch up on the 15 Day Book Blogger Challenge ... Blogging Quirks.